I mentioned knitting ……it has been a blessing during this time of recuperation. It has literally kept me going when discouragement has taken over. 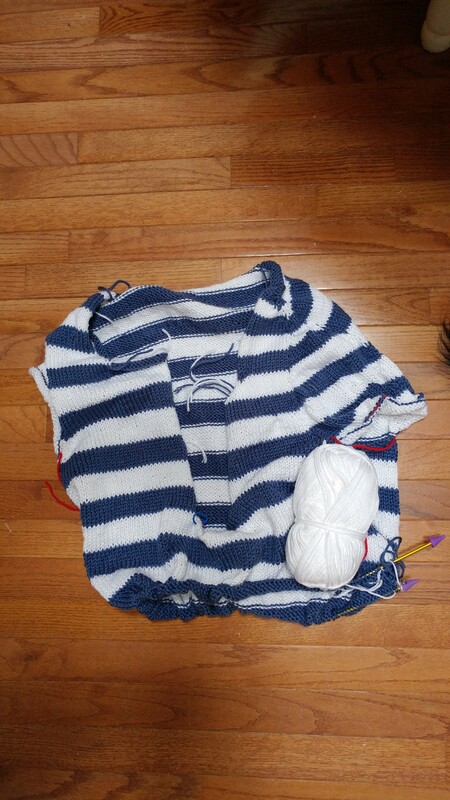 Right now I just finished a sweater using a wonderful yarn. It is actually my favorite so far. It is thick and thin as you can see and has great color to it. 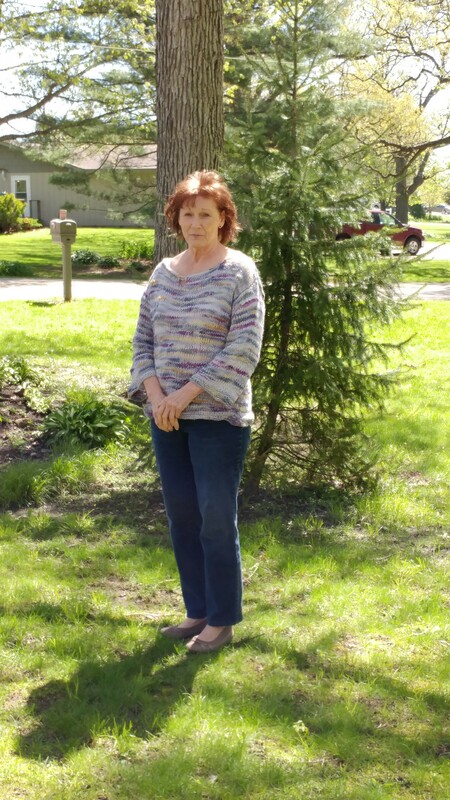 The sweater pattern and yarn I picked up at a yarn shop in Decorah, IA when I visited my sister who lives there. A lovely shop which I will visit again and take pictures. They have an online presence as well. 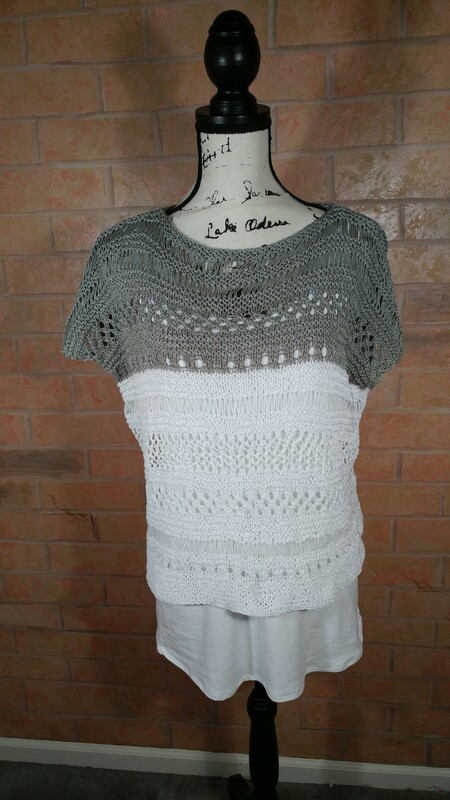 The pattern is for Intermediate knitters but I think any adventurous Beginner could handle it. I adjusted the sleeve and the neckline a little. I attempted a sweater early on and it was a bit overwhelming. I was determined to get back to it once I had more knitting under my belt. 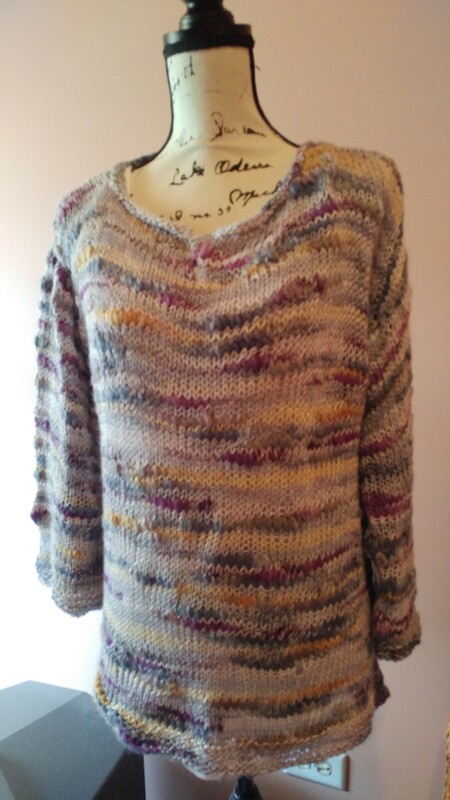 The first sweater that I completed is actually a summer shell. It is made up of a variety of lace stitches. 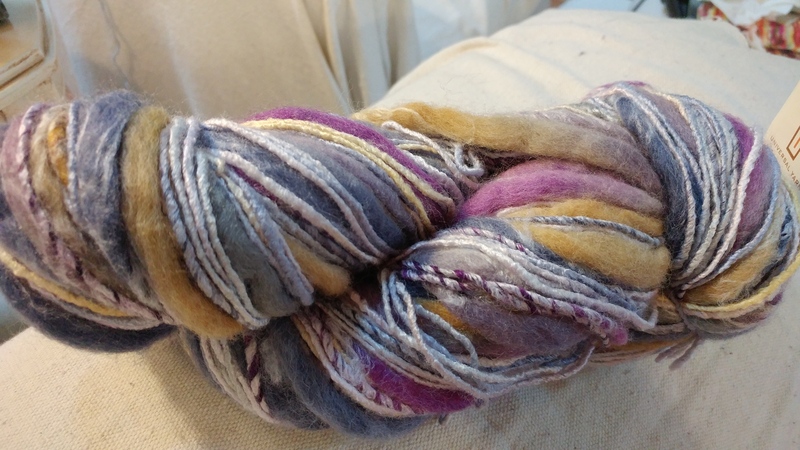 It was a lot easier than I expected and seemed to go quickly due to changing stitches often. It’s made of 100% cotton yarn. 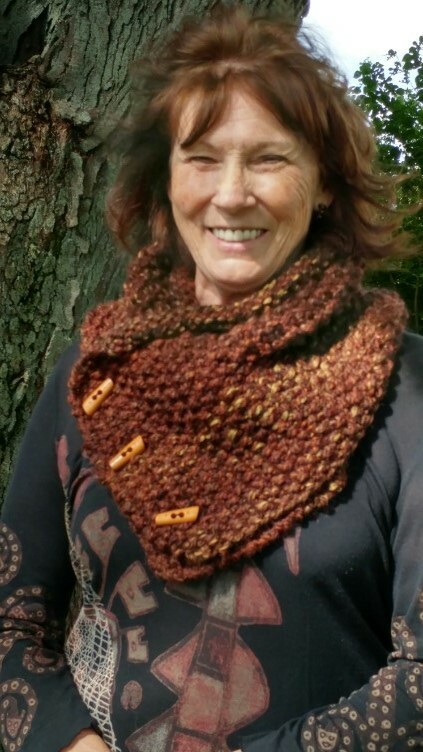 Designing a winter cowl was my first pattern making venture. 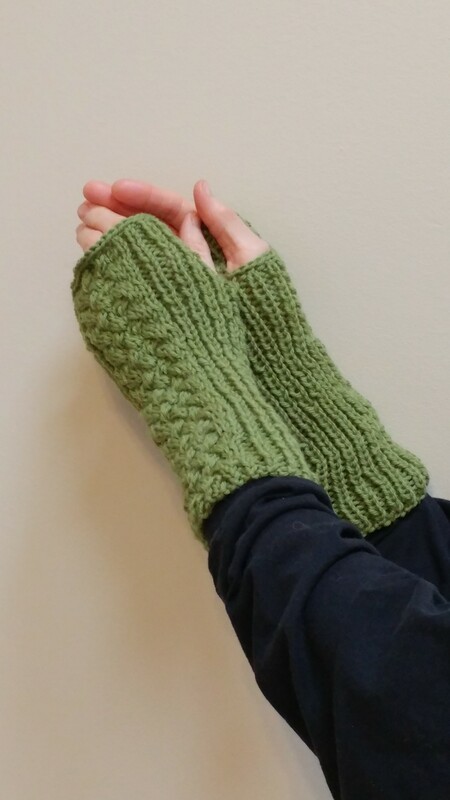 The next item was fingerless gloves using a favorite cable stitch. And the most recent design is for the warmer months. 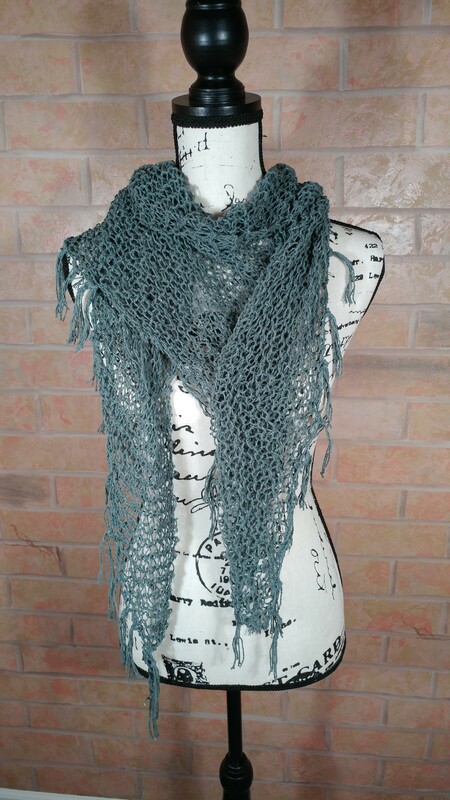 It is called Airy Denim Scarf and is made from 100% recycled blue jean yarn. Upcycling! Knitting will undoubtably be mentioned here again.